Few industries attest to the decline of Britain’s political and economic power as does the near disappearance of British shipbuilding. On the eve of the First World War, British shipbuilding produced more than the rest of the world put together. But by the 1980s, the industry which had dominated world markets and underpinned British maritime power accounted for less than one per cent of world output. Throughout this decline, a remarkable relationship developed between the shipbuilding industry and the Government as both sought to restore the fortunes and dominance of this once great enterprise. This book is the first to provide an analysis of twentieth-century shipbuilding at the national level. 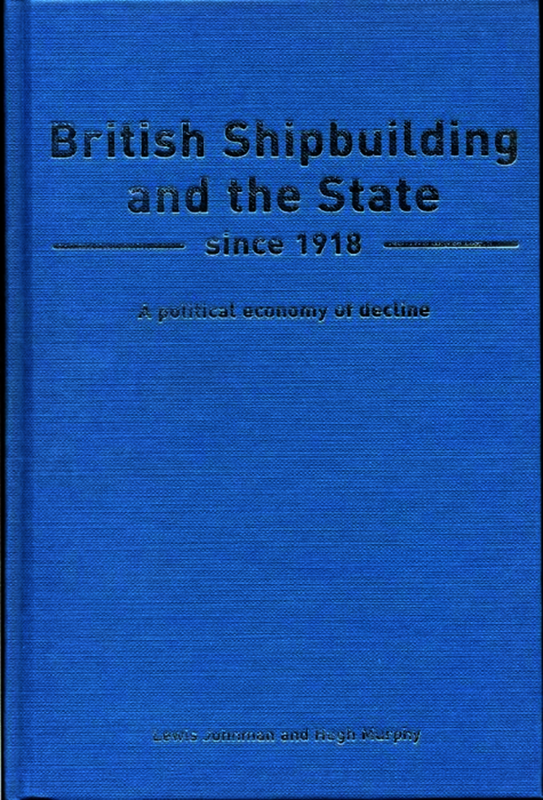 It is based on the full breadth of primary and secondary sources available, blending the records of central Government with those of the Shipbuilding Employers Federation and Shipbuilding Conference, as well as making use of a range of records from individual yards, technical societies and the trade press. ... This is a book for those who are saddened by the demise of our Shipbuilding Industry... I guarantee you will be ... enlightened. Lewis Johnman is Principal Lecturer in History at the University of Westminster and Secretary of the British Commission for Maritime History; his others books include The Suez Crisis (with Anthony Gorst) (Routledge, 1997) and Down the River: Voices from Clydeside Shipbuilding (Argyll, 2001). Hugh Murphy is Senior Caird Research Fellow at the National Maritime Museum and a Researcher at the Centre for Business History in Scotland at the University of Glasgow.